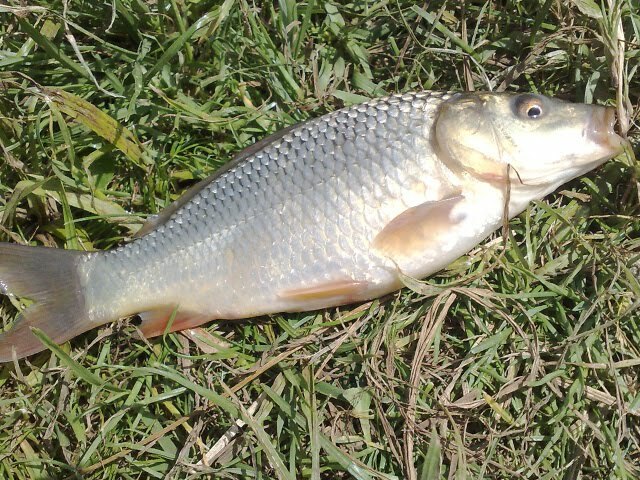 Today myself and Dan popped down to Clapham Common pond for a morning's fishing. 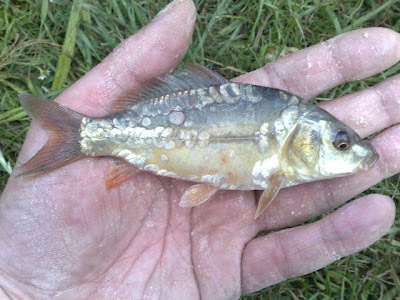 Clapham Common has two fishing ponds, the large of the ponds is being drained, dredged and restocked and will be opening in 2011 - so we fished the smaller pond. 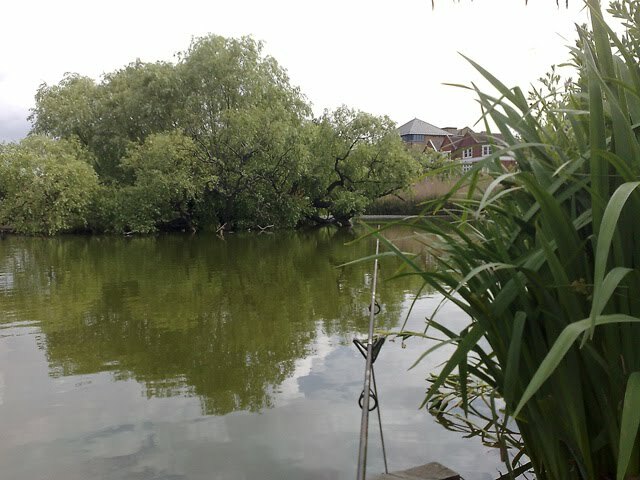 Both ponds are free to fish, and being the only free ponds in London they get a lot of angling pressure. 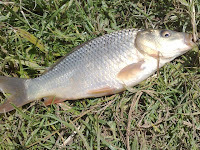 Our aim was to catch some of the smaller carp and tench on float fished sweetcorn over a maze groundbait. 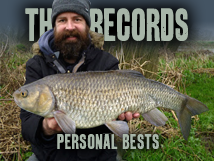 After about an hour the small carp moved into our swims and we had fairly consistent action, the fish were small up to around the 8oz mark, but there were lots of them. We lost count of how many we caught (I counted the first 30 before losing count) so we think it was well over 50. None of the bigger carp moved in (there are fish to over 20lb in the pond but we were really targeting the ones about 1-2lb) and we didn't catch any tench. We did have a few gudgeon, I haven't seen a gudgeon for years so it brought back some great memories of catching them in the Wye as a kid. 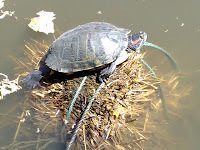 Next we're off after something a bit bigger but we will probably return to Clapham for our 99p fishing kit competition! Apart from being right by the road it's a great looking pond. Most of the carp were small common carp with the odd tiny mirror carp among them. The odd gudgeon made an appearance. And a terrapin kept a watchful eye on the fishing! Great report. Perfectly finned mini perfection. 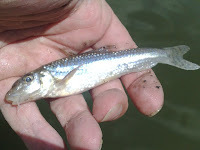 Fishing for small fish can be fun.